One of the many perks of my job as a wedding planner is the opportunity to work directly with Sandals and Beaches Resorts through the Association of Bridal Consultants. The incredible relationship allows me to sell honeymoons, vacations, and fun-in-the-carribbean-sun experiences. Therefore, I visit the various resorts to be able to truly match each client with the perfect resort for them. When Sandals Barbados called, I immediately packed my bags and husband! When we landed at the Barbados airport, we were greeted by smiles and friendly citizens. Although there was not a Sandals Lounge at the airport, we easily found the desk outside the airport to get our bags ticketed and onto the bus. After a short 15 minutes, we arrived at the gorgeous Sandals Barbados resort. Upon arrival, our Butler greeted us at check-in with a cocktail and escorted us to our ultra swanky suite that overlooked the river pool. We stayed in a “Crystal Lagoon One Bedroom Butler Suite with Balcony Tranquility Soaking Tub” and I never wanted to leave. Two soaking tubs! A sitting room! A fully stocked bar! That bathroom! From the first moment on the property, we were treated like the most important people on the island. Sean is no stranger to the Southern Glam Weddings & Events team but this trip made him even more official in the business. During our time on the island, he took the Sandals Certified Specialist training for the first time to expand our Sandals services. 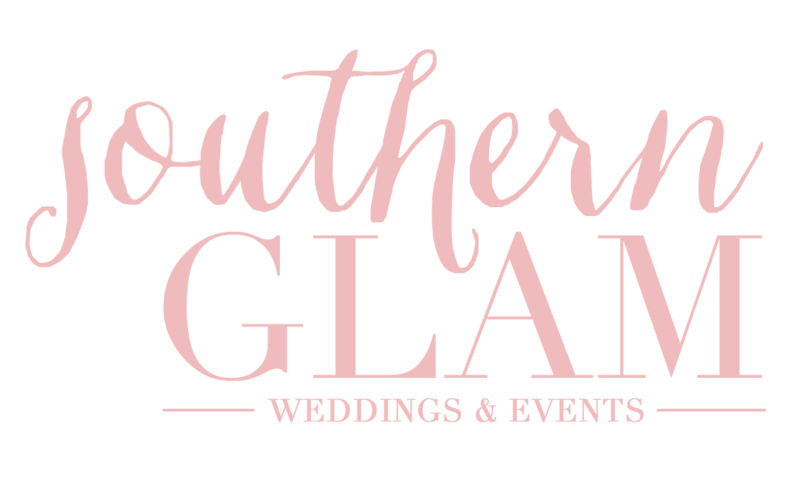 He’s now the official Southern Glam’s Groom’s Concierge to assist the sometimes neglected groom in the wedding planning adventure. We all know how much grooms love wedding planning (ha!) but now Southern Glam grooms have another guy on their side. They can grab a beer and chat Caribbean honeymoons instead of linens and centerpieces. We absolutely adored all three of our butlers. Demar and Juliana were the most amazing Butlers treated us like pure royalty! Utina, who isn’t pictured here was also on Team Phillips and we loved her too! We’ve never experienced the Butler level of service before at Sandals so it was a real treat this vacation. During our VIP check-in, we were given a cell phone to call on our Butlers whenever and wherever we needed them on property. They also took care of all our dinner reservations, scheduled excursions, and customized menus for me since I am vegetarian and gluten free. I have never had so many food choices available to me before. To say I ate well, despite my dietary restrictions, is an understatement! A fun memory was when we asked Demar to have dessert with us before he left for the evening. Chatting with him about his life, ambitions, and the island of Barbados was a conversation I will always remember. I told you I was able to eat while on vacation! Sandals and its Culinary Concierge take dietary restrictions seriously; I was able to find gluten free pasta, bread, cookies, pizza, and brownies! Sandals also had vegan butter too. I was one happy gluten free vegetarian! See the video here on how those with dietary concerns can sit back and relax at Sandals and Beaches Resorts. From time to time, we would see Abhishek sneak into restaurants to check in with me to ensure I had enough to eat and enough variety. The level of service and his compassion completely blew me away. That is what Sandals is all about! Each evening, one of our Butlers would ask where we’d like to spend the next day. We absolutely loved the main pool, so each morning, the Butlers would reserve the best lounge chairs for us and filled a cooler with our favorite beverages and water. Throughout the day, they would bring us drinks before our current ones were empty in addition to snacks. I discovered my new favorite cocktail was a Bajan Lemonade. First, muddle limes and add lemonade, raspberry vodka, a spritz of Sprite, and a splash of cranberry. It was a perfect pool drink. Sandals Barbados knows what’s up! I am a sit by the pool or on the beach kind of gal. Yet, Sean on the other hand, likes a little more action and every afternoon at 3pm, you could find him in the pool playing volleyball. He also took full advantage of the Scuba diving program. As a result, each of us happily enjoyed our afternoons. Another #TheButlerDidIt moment! Bubble baths with champagne and snacks? Yes, please! One of my favorite restaurants was Kimonos because I love hibachi! It’s a vibrant restaurant that serves up Japanese cuisine in a most captivating way. Kamal made our dining experience superb! And the saki cocktails where delicious! While Sean went scuba diving, I went pampering. The first time I ever visited a spa was on my honeymoon at the Grande St. Lucian and the Red Lane Spa certainly set the bar. Each time I visit another Sandals or Beaches property, I make sure to make a spa appointment for a luxury treat! One of the eleven restaurants at Sandals Barbados is Soy Sushi Bar. Since I’m not a big sushi fan, the restaurant wasn’t high on my “to visit” list but Sean had never had it. One of the main amazing benefits of the Sandals brand is the luxury included discovery gourmet dining. Why not try something different? Sean did and actually found out that he liked sushi! This remarkable sushi house offers exciting flavors and exotic sushi creations made-to-order. Sushi Chef Gilbert was amazing to watch at preparing each roll. Almost each night we found ourselves at the Merry Monkey Pub. With cozy traditional décor you’ll feel as if you’ve ventured across the Atlantic to England and entered into another reality completely. Bartender Shane mixed amazing cocktails and kept the bar entertained all night with laughter. The Caribbean and Sandals Resorts are an Instagramer’s paradise! As a result, the number of gorgeous natural light photo opportunities are endless! On our last morning, we enjoyed breakfast on our terrace thanks to our amazing Butlers. Definitely, it was the perfect end to a wonderful vacation! While it was incredibly sad to leave paradise, Sandals is our home away from home so we know we’ll be back soon! And now, who wants to visit the gorgeous Sandals Barbados? Do you want to visit Barbados or any of the gorgeous Sandals or Beaches resorts? Let’s chat and make it happen!